What a week. And here we are on the final day of the 12th Angkor Photo Festival and Workshops with another incredible line-up of discussions and presentations at tonight’s Closing Night finale. We’ve had some exciting new additions and changes this year. We moved to our new Festival Zone, giving the festival a completely different feel. We’re thrilled to host the World Press Photo exhibition for the first time and this year we had a community initiative to provide financial support to workshop participants. Our public program is bigger and better and we’ve had fantastic participation. And of course, the calibre of work in our exhibitions, presentations and projections is outstanding. Finally, tonight we are able to share the results of our workshop participants. It’s exciting to see 30 projects, all from Siem Reap and its surrounds and all so different. Intense is the word that keeps cropping up from workshop participants and their tutors. The 30 participants had a week – or less in some cases – to choose their project, plan it, shoot it and edit it. Their diverse subjects cover many facets of Siem Reap and its surrounds giving insight into different aspects of the community. From self portraits exploring the myths of dance and their relationship to the body, to the strength of women in villages and Siem Reap’s version of café chantant – the subjects have depth and variation. But the participants admit is has been a challenging week. Hong Nhung Nguyen changed her idea four or five times before deciding to explore women’s strength. The 20-year-old from Vietnam says the short time frame was too difficult to develop her other ideas. Meanwhile Lim Paik Yin spent two sleepless nights wrapping her body in bandages and dancing through the night to get her images. His project explores a migrant village along the Siem Reap River and takes him outside his comfort zone, dealing with people and a culture he doesn’t know and with no common language. “I was trying to do something in a totally unknown place with unknown people.” It has given him ideas to take home. For Taufiqur Rahman Anik the biggest thing he has taken from the workshops is how to work outside his home and his country, in unfamiliar places. It is his first time working abroad. Exploring the theme of café chantant – the singing cafés – he was challenged by the limited time frames his subjects were available – certain nights, and only a four-hour window of opportunity to capture them each night. Thirty participants from 14 countries took part in the workshops under the guidance of six tutors, who pushed them to do more and challenged their thinking. We’ve got another wonderful presentation for you tonight – a showcase of the inaugural Magnum Photography Awards winners. 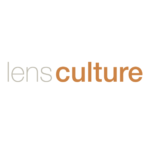 Presented in partnership with LensCulture, which has been a long-time Media Partner of the festival, the projection features the works of 44 photographers from around the world. Come and see the amazing diversity of this high quality work and wonderful storytelling, featuring a range of important issues documenting scenes from all corners of the globe. 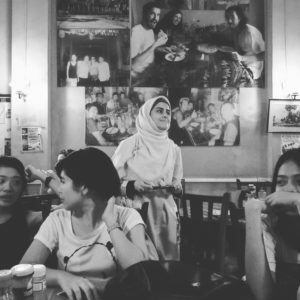 Thanks to the generous community initiative of Andri Tambunan and the support of our workshop alumni and the Invisible Photographer Asia, we are fortunate to have two grants available to our workshop participants to provide financial support for their professional development. The Angkor Travel Grant was launched this year to provide financial help to workshop participants from Indonesia, Malaysia and the Philippines. Initiated by photographer, Andri Tambunan, the travel grants help alleviate travel and working costs and also provide ongoing mentorship and the opportunity to have work featured on Invisible Photographer Asia (IPA). Grant recipients will receive $500 to cover travel costs to attend the Angkor Photo Workshop and will receive a one-year mentorship from the Angkor Photo Travel Grant team. The grant will be presented to recipients tonight. The Project Development Grant is available for Malaysian and Filipino participants. The grant will fund a photography project to be developed under the guidance of a group of Angkor Photo Festival Workshop alumni mentors. It’s a fantastic finale for our 12th edition of the Angkor Photo Festival and Workshops. Please come and join us for this special night and see some of the amazing work that is taking place around the world. Don’t miss the wonderful stories by our 30 workshop participants, all featuring Siem Reap. It’s happening at the Festival Zone, in the field next to Amansara, near Raffles Hotel. See you there.